#1 Zone For Juicy News And Entertainment! The war of words between Nigerian singers Kizz Daniel and Harrysong doesn’t seem to be anywhere near ending. It all started when Harrysong released his new song, Selense, which featured Daniel. Kizz Daniel had claimed that Harrysong breached the agreement they had when he was approached for the collaboration that also had Reekado Banks in it. 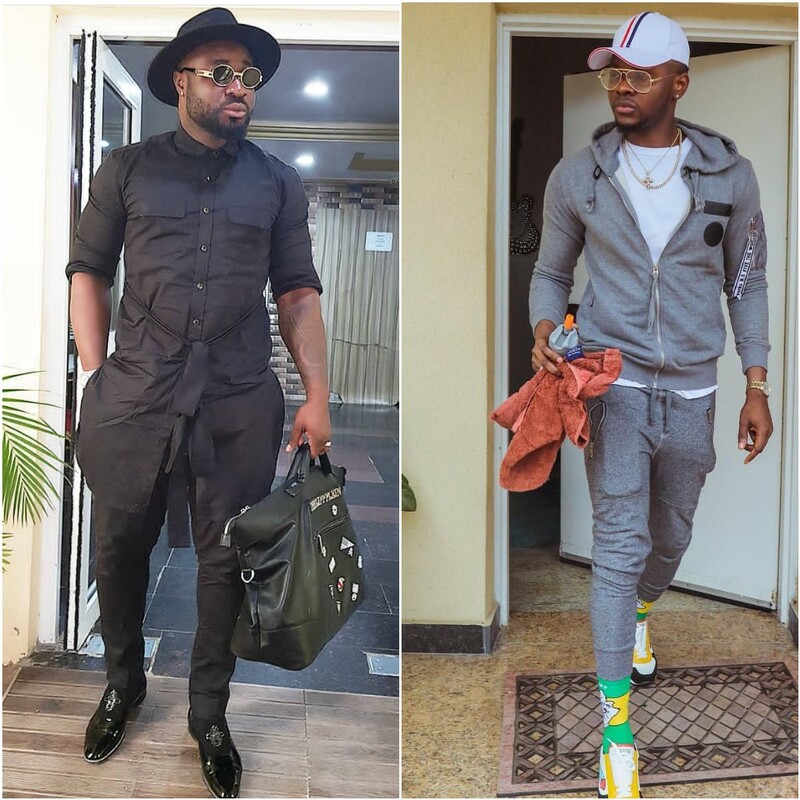 But in an interview with Segun Adebayo, Harrysong cleared the air on the controversy that has turned the two music stars against each other. What informed your decision to do a remix of Selense at a time when the original version was still trending? I really would not have talked about this matter because I have decided to move on, but because of those who don’t know what has been happening, I may be forced to speak on this. I had to stop the promotion of the first Selense because it was bringing the kind of positive attention that I envisioned for the song. What do you mean by that? I am somebody who likes to put his best into anything he does, and I always look out for those who could add value to my job; so if I did not get what I was looking for, I had to switch to Plan B. The plan B was the remix that had Iyanya and Dice Ailes on the remix version. You were reportedly forced to stop promoting the song because of Kizz Daniel’s verse that seemed to have subtly told you he’s better than you. Is this true? You may be right if you say he was one of the reasons or perhaps the major reason the promotion of the first Selense had to be discontinued. I didn’t expect him to jump on my song and put out words that are not right. He exhibited arrogance during and after the recording of the song and I was not very happy about it. It didn’t allow me to take the song to the level I wished to take it to. Is it true that you said he was arrogant? Kizz Daniel is too proud. I don’t know why a young boy like him can be so arrogant. You don’t just open your mouth and say anything because you feel you have the liberty to talk. Not to me. Not on my song. I would never take that from him. People have been asking why you released the song if you were not comfortable with his track? Let me tell you this today, I am a man of my words and I don’t like to dissapoint my fans, no matter what happens. They got me to this level and I am grateful for their love and support over the years. The fact is that I never wanted to release the song when I heard Kizz’s verse but I could not stop it because millions of people were waiting to hear what myself, Kiss and Reekado Banks would come up with on the song. Stopping its release would not be good enough, so I let it go. Publicity stunt? My career has never been built on stunts. I have dropped hit songs back to back and I have never been involved in any publicity stunt. My career is built on God’s grace, blessing, hard work and good will from the people. I would not have come this far if I was building my career on publicity stunt. Do you regret featuring him on the song? No. I don’t. As I said, I have moved on to bigger things. There was no point sleeping on that matter. As a matter of fact, the remix is out and people love it and we are promoting it. You can feel the Selense fever everywhere. Good music will sell itself, especially when it is coming from a serial hit maker. So, for now, nothing is stopping us. We are moving ahead. I have been busy performing at different shows and making every moment count. What is the situation of things between you and Kizz now? There is no situation. Everything is back to normal and I have not even seen him. I don’t want to talk about him because I am focusing on my job, not him. If I was thinking about him, I would not have released the remix. For me to have abandoned the first ‘Selense’ should tell anyone that I am always quick to move on to the next plan. Nothing is capable of slowing me down. This is Harrysong, the man whose grace of God is sufficient for. Let’s talk about me and not anybody else. He’s a small boy who needs to be schooled. Did you see his response to your claim, where he said you breached the agreement when you decided to bring Reekado Banks on the song without telling him? What response? Do you call that a response? Is that a normal statement. I think he should go and fire whoever is handling his PR for him. He should put his house in shape. I had vowed I would not respond to this anymore. I am not paying attention to that right now. This matter is not for this moment. It would be addressed later. See let me tell you, Kizz Daniel should not force me to talk. Did you tell him that Reekado Banks was going to be on the song? I saw the concocted statement that was released from his stable on this matter. He should just keep quiet and focus on building his career rather trying to act funny with me. He claimed he did not have any issue with Reekado Banks in that statement that was released by one quack, who claimed to be part of his PR team. So, he never wanted to work with Reekado Banks? This is the same Kizz Daniel that said he never wanted to have anything to do with Reekado Banks when he heard that he would be on ‘Selense’ with him. Now he came out to the public to say he has no issue with Reekado Banks. He should learn how to put his house in order. I feel sorry for the boy. As of the time of recording the song, he said he would not do anything for Reekado Banks for personal reasons. So, if he has reconciled with Reekado Banks now, congratulations to him. His ignorance and those around him is becoming so glaring. It has been more than a year since you floated your record label, Alter Plate; what has been happening to the project? The project is big and we are moving on steadily. We have quite a number of projects we have lined up. Albums, videos, concerts and more are coming. We are not new to taking big steps because that has always been our goal. That is why we have come this far in less than a year. A lot has happened to you in the last one year. You left Five Star Music and you have been enjoying your career since then. What do you think about your career at this point? I am grateful to God for how far I have come. I am working hard every day to make sure I build a strong brand for myself. I don’t ever want to be involved in any controversy. I am not interested in all that drama. I have moved up the ladder and God has been good to me. Let us just keep working hard and remain .